My first polar bear that I ever saw was sitting in a pile of garbage in a dump. Actually there were thirteen of them. I had just arrived in Churchill, Manitoba in the fall of 1979 to pursue my dream of being a biologist. Nothing in my southern university experience prepared me for the rawness and beauty of the north and the challenges it presented. A lifetime of lessons had begun. In those early days the biology of polar bears in Hudson Bay, and throughout the Arctic, was poorly understood. Bears that wandered into town were considered to be a ‘problem animal’ and sometimes as a result were shot. Everyone gave a collective sigh of relief when winter came, the water froze on Hudson Bay and the bears disappeared onto the ice. I never have thought that after 8 years as a biologist in southern Alberta followed by a twenty seven year career at the Calgary Zoo as a zookeeper that I would be back guiding people to see polar bears. For the past ten years I have lead nearly fifty trips from Calgary, Edmonton and Saskatoon with the company Classic Canadian Tours. If you fast forward to today, much has changed in our knowledge and respect of bears. The dump in Churchill is gone. Polar bears are now considered to be the iconic species of the Arctic. We now know that there is an estimated 25,000 polar bears in 19 distinct sub-populations throughout the Arctic. They are managed by five different countries, Canada, United States, Denmark, Russia and Norway, under an IUCN agreement signed in 1976. The majority of these bears are found in Canada, of which 1,000 live in the southern Hudson Bay population. We know that they rely almost exclusively on the ringed seal for food as well as an ice platform to effectively hunt them. They are being impacted by changing climate conditions. Each summer the ice on Hudson Bay melts and the bears are forced to swim to land where they live on the fat they have accumulated from eating seals. Staying cool in the summer months can be a challenge for bears. They lie in excavations that they have dug close to the permafrost or cool off by swimming in Hudson Bay. In the fall as the day light hours shorten and the inland ponds and lakes begin to freeze they begin their migration towards Churchill. Knowledge passed down through countless generations tell them that the first ice to form extends from the mouth of the Churchill River, where the town is situated, to 40 kilometers east to the Cape of Churchill. For many bears it will have been four months since they have last had a substantial meal of seal and they are hungry. To-day ecotourism is vital for the economy of Churchill. Thousands of people from around the world arrive in late fall to view these magnificent carnivores as they gather along the shoreline of the bay. Bear protection is now a priority. An elaborate Bear Alert program has been established in Churchill and bears are discouraged from approaching the town site. Those that do dodge the conservation officers and get in trouble are not needlessly shot but are temporarily housed in the ‘Bear Jail’. Once the ice has formed on Hudson’s Bay they are immobilized and flown by helicopter along the coastline to continue their annual hunt for seals. 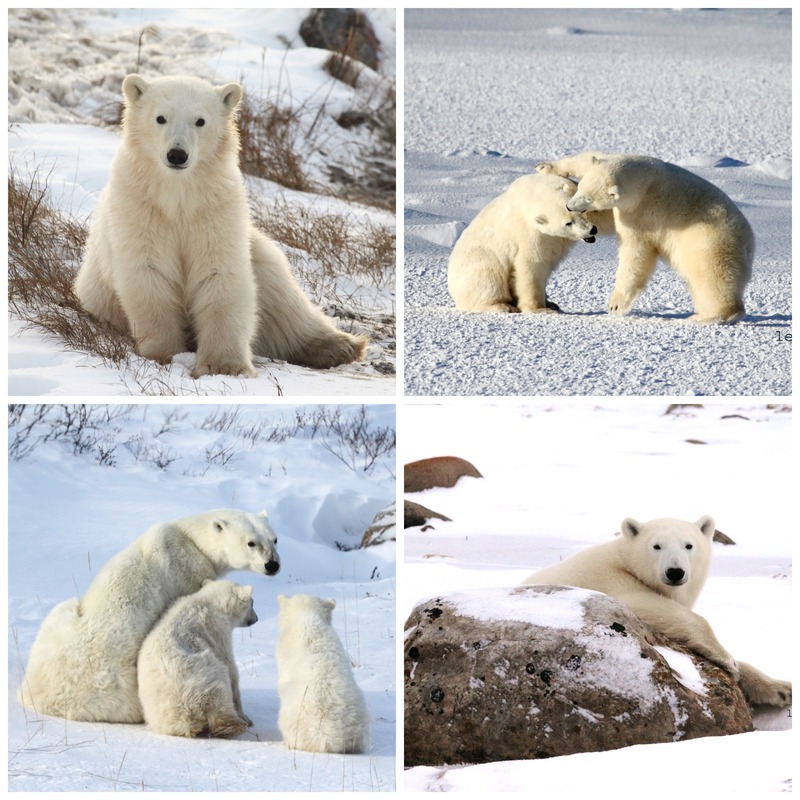 I have learned so much about the polar bears in Canada, and I hope to continue to do so. 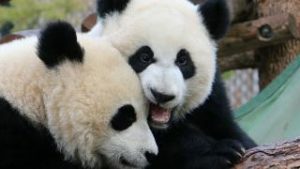 Seeing these incredible mammals in their natural habitat is a privilege, and one that I hope remains for years to come. *Photos used were captured by Les Stegenga.